As many as one in four superannuation holders would be prepared to shift investments if their fund were found to be investing in coal or coal seam gas extraction, according to research commissioned by the Australia Institute. The survey, conducted by Market Forces, found that only 43 per cent of the 1125 respondents would leave their holdings unchanged if their fund made such investments. The highest opposition to altering investments based on links to coal or coal seam gas was in the top income bracket of those earning more than $150,000, the report found, with 51 per cent against. Australians hold almost $1 trillion in super – excluding self-funded superannuants – so the willingness of many investors to avoid coal and coal seam gas should be ”a massive wake-up call” for the industry, Market Forces campaigner Julien Vincent said. The Australia Institute and Market Forces have sent copies of the survey to every super fund in the country and included a questionnaire on how much each fund has invested in coal or unconventional gas extraction. ”We hope that by clarifying which companies are in and out of coal and coal seam gas, super fund members can make decisions about where they want to put their money,” Mr Vincent said. The report concedes that most Australians are ”disengaged” from their super. While the assumption is that providing more information about financial performance will improve perceptions, so will greater disclosure about a fund’s stance on ethical or environmental issues. Meanwhile, a separate report by Deutsche Bank suggests super funds might also want to avoid coal investments for financial reasons. The bank’s chief economist Jun Ma argues China’s dire pollution will accelerate the country’s shift away from the carbon-intensive fuel. 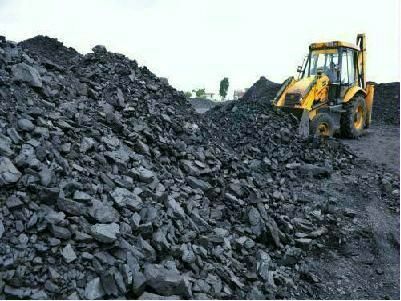 By 2030, coal will constitute 32 per cent of China’s energy supply, down from 68 per cent now – much less than the previous prediction of 41 per cent by the end of the next decade. Renewable energy will rise 12 per cent a year until 2020. The result will see China resuming its role as a net coal export and threatening Australia’s market for thermal coal. The bank notes Australia shipped 28.5 million tonnes of thermal coal to China alone in the 2012 financial year.